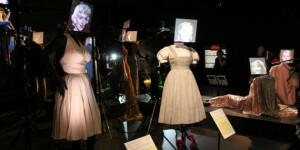 The Hollywood Costume exhibition has just opened at London’s Victoria and Albert Museum – through to January 27, 2013 – and features two of Marilyn’s most famous costumes, from The Seven Year Itch and Some Like it Hot. 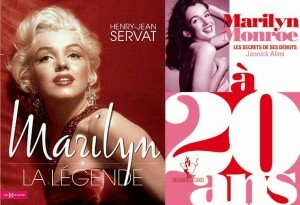 The French literary world continues to celebrate Marilyn, with two more new books just published. 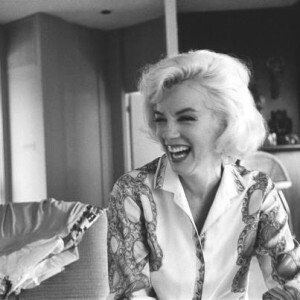 Henry-Jean Servat has just released Marilyn: La Legende, his third book on the star, including an interview with her half-sister, Bernice Baker Miracle, from 1996. Meanwhile, Jannick Alimi’s Marilyn Monroe à 20 ans : Les secrets de ses débuts is now available in paperback and via Kindle. Both authors have spoken (in French, of course) to Le Point about Marilyn. An exhibition featuring Douglas Kirkland’s ‘between the sheets’ photo session with Marilyn will open at New York’s Westwood Gallery on October 26, through to December 15, reports the Huffington Post. The iconic Erno Laszlo skincare brand – as favoured by Marilyn herself – will dedicate a free exhibition to Monroe’s beauty and style secrets, curated by MM collector Ted Stampfer and opening at the new Erno Laszlo Institute in New York on October 30 through to December 31, reports Elle. 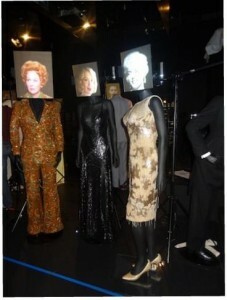 The Hollywood Museum has announced that ‘MM: The Exhibit’, which opened this summer, is to become a permanent exhibit. This is great news for all fans, and a perfect tribute to Hollywood’s golden girl. Marilyn: Forever Blonde, the acclaimed one-woman show starring Sunny Thompson, may be heading for our TV screens, reports Leslie Kasperowicz for CinemaBlend. 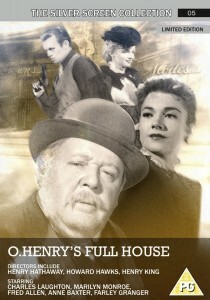 Good news for UK fans: O. Henry’s Full House (1952) is being released on DVD (Region 2) on November 12. It is a compendium film, based on the classic short stories of O. Henry. Marilyn stars alongside Charles Laughton in the episode entitled, ‘The Cop and the Anthem.’ The DVD can be pre-ordered now via Amazon UK. 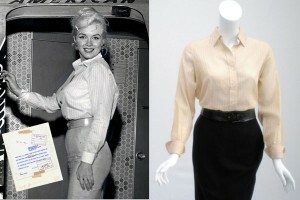 Actress Elle Fanning, 14, has once again named Marilyn as her idol, reports ONTD. “Q: Who is your Hollywood icon? A new exhibition and book, depicting an off-duty, but inimitably glamorous Marilyn walking in a New York street in 1955 with her friend, photographer and business partner, Milton Greene – from a rare home movie shot by lucky teenager Peter Mangone – will be launched next month. The exhibition , ‘Marilyn Monroe Rediscovered: The Lost Film of Peter Mangone’, opens at New York’s Danziger Gallery on November 1st, until December 23. 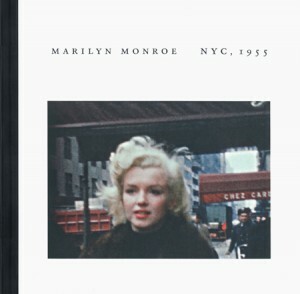 The accompanying book, Marilyn Monroe: NYC, 1955, is a mere 48pp long, measures 9 x9″, and includes 30 colour photos, and is available to pre-order now via the Book Depository and other online stores.